In our April edition of our Preemie Family newsletter we learned about the superstar Maddox Alan Rawn, a preemie born at 24 weeks, 1 day who was 1 lbs. 12 oz. at birth and spent 153 days in the NICU. Read more in an update by his mother, Amanda. . . 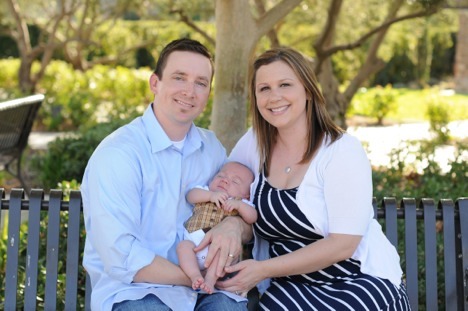 The quick onset of a placental abruption sent me into a whirlwind of fear. Doctor’s telling me I would deliver my son at just 24 weeks and 1 day gestation, had my head spinning and gave me more questions than I had answers. I had a normal pregnancy up until that point and my OBGYN always said my ultrasounds looked great. My son, Maddox, spent 153 days (5 months) in the NICU. 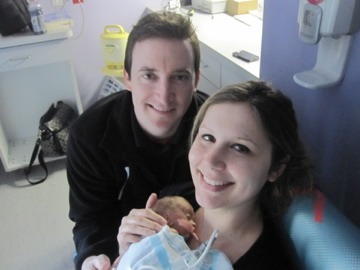 What his little body endured in the NICU blew my mind. He was 1 pound 12 ounces and 12 1/2 inches long at birth. 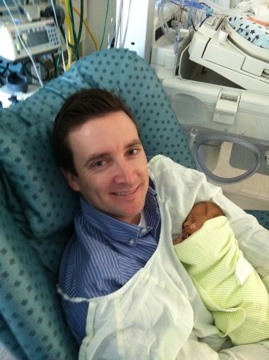 When he had his first surgery for a bowel perforation (NEC), he weighed only 1 pound 8 ounces. Dr. Jones, his surgeon, told us her number one goal was to bring him out of surgery alive. I was terrified of losing my son. Shortly after they took him in, we received a phone call from a neonatologist to meet in the parent “quiet room.” It was there he told us that Maddox wasn’t doing well. Doctor’s and nurses kept saying things like, “it doesn’t look good,” “he’s having a hard time.” I wanted to scream. My husband and I were down on our knees. We were crying and praying for a miracle. After what seemed like hours, they came in and said he was out of surgery and alive, but he wasn’t out of the clear yet. Dr. Jones came in and informed us that while she was operating, his liver started to bleed out (subcapsular hematoma of the liver) on the operating table. She explained how she barely had time to sew him back up and it was minute by minute. I can’t even begin to explain the panic, terror and helplessness we felt. Slowly, Maddox started improving and things got better. He survived. We were later told by a NICU nurse of 15+ years that she had only seen 5 babies survive a subcapsular hematoma of the liver. Following that horrible scare, Maddox faced 2 blood infections (yeast), another bowel perforation, Intraventricular Hemorrhage (IVH), Hydrocephalus (with a Ventriculoperitoneal or also known as a VP shunt), Periventricular Leukomalacia (PVL) and 8 more surgeries while in the NICU. In just one week, he had 3 surgeries! The second time he developed yeast in his blood (from the second bowel perforation), we were asked if we wanted to sign a DNR. His organs were shutting down. Once again, we prayed for another miracle. It amazes me what such a little baby can endure and still survive. Nine surgeries, multiple infections including yeast in the blood twice, meningitis, MRSA, subcapsular hematoma of the liver, frequent intubations and much more. Some of the things we didn’t struggle with while Maddox was in the NICU were his heart (his PDA closed on it’s own when he was a couple days old), his eyes (he developed Retinopathy of prematurity or ROP stage 2, but it had cleared upon discharge) and although he did have some issues, amazingly, his lungs. He was discharged bottle feeding and without oxygen which is surprising to many of his doctors. His transition home was bumpy, but we eventually got into a routine. Dealing with GERD (acid reflux) and keeping an eye on his VP shunt had us constantly worried. We also found out he developed Gallstones from the chronic TPN. Since he is asymptomatic, Dr. Jones decided to monitor him and wait until it’s absolutely necessary to take his Gallbladder out. I think it’s a common misconception that once your child is discharged from the NICU that they are like a typically developing term baby. That couldn’t be farther from the truth! Maddox has faced many challenges since being home. Like most babies similar to him, he is delayed with his development. Maddox had a 10th surgery after being home for 6 months for a fluid pseudo cyst in his abdomen. Besides being in the hospital a month and a half past his due date, the last surgery also set him back. That all said, he is making progress everyday. We found out at his 3 month ophthalmology follow up that he has low vision. 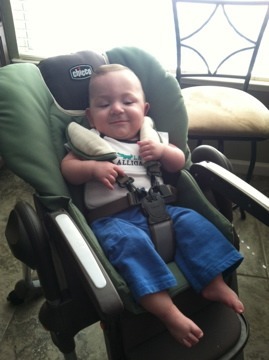 He was diagnosed with Cortical Visual Impairment (CVI), ROP and Nystagmus. This was a shock to us since all his eye exams in the NICU were “good.” Having a child that has low vision proves to be a challenge, since most milestones are visually driven. Maddox continues to improve and is even reaching for objects now. His early interventionist and physical therapist (who see him on a weekly basis) are both amazed at Maddox’s resilience, progress and determination. He continues to amaze us and those working with him. 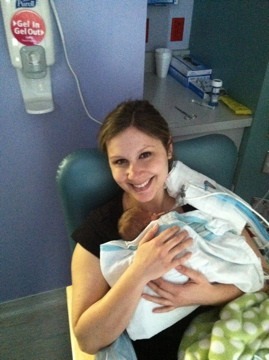 Having a micro preemie has forever changed me. For one, my husband and I have become complete and utter germaphobes. I have learned more medical terminology, diagnoses and procedures then I care to count. One of the biggest adjustments my husband and I have gone through is the isolation we are now forced into. This winter was Maddox’s first winter home and we were advised to be on “lock down.” This includes me staying home with him and only taking him out for necessary doctor’s appointments. We also limit visitors and don’t allow anyone over who is sick or hasn’t had a flu shot. This has drastically changed the way we live, not to mention change our relationships with family and friends. I have learned so much from this journey. First, that we aren’t as in control as we think. I had everything planned out about my pregnancy, birth plan, work, etc. That all went down the drain when I had Maddox. He became my focus. I have witnessed so many miracles through him. Maddox’s neonatologist once told me he couldn’t explain why Maddox had cleared an infection that was shutting down his organs. I will never forget that. I have learned to be patient, rely on God and that I have strength I never thought I had. There are many lessons I have learned, too many to count. The greatest lesson is that there are no guarantees, so enjoy every moment. We celebrate Maddox all the time. Milestones that others take for granted, we celebrate. We know when Maddox does something, he has overcome a mountain. We don’t take life or our son for granted. He is a true gift. A real miracle. Though every baby is different as is their course in the NICU it is so amazing how so many of the parents’ experiences are so similar. My son was born at 24 weeks 5 days. He had all the issues your son didn’t but the terror, helplessness and fear you describe hit so close to home. And the isolation and changes in lifestyle post discharge? Going through it right now. Thank you for sharing your story! So glad your son is doing so well! These tiny ones are incredibly strong and resilient!